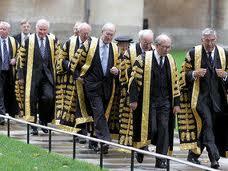 The Lord Chief Justice’s report on the work of the courts has been published, and is available here. The report states that the period covered (Jan 2010 – June 2012) has been a time of exceptional national difficulty, and that recent reforms have significantly increased the burden on the judiciary. Coupled with simultaneous pay reductions Igor Judge expresses concern about the effect on morale, and potential judicial recruitment and retention problems. Areas that are identified as being particularly stretched are the family courts and CAFCASS, tribunals, and the Administrative Court. The Admin Court is under pressure with an increase in urgent applications for interim relief and judicial review, for which a Queen’s Bench judge is on duty 24 hours a day every day of the year. Improvements that Judge highlights include the sustained focus in criminal trials to reduce the number of unnecessary hearings, the number of late guilty pleas and the overall length of trials. 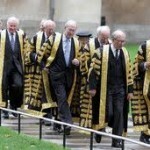 Leave a reply on "The Lord Chief Justice’s Report 2010 – 12"